Are you big on science and science communication? If you are, do yourself favor and check out ScienceOnline2012 (or scio12 to those in the know), the sixth annual international meeting on science and the internet. Scio12 kicked off yesterday and will run through tomorrow — and odds are high that many of your favorite bloggers, writers, and scientists are in attendance talking about how to most effectively share science with the world. Including our own Annalee Newitz. 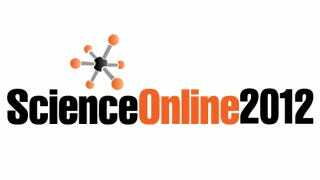 If you're interested in this sort of thing at all, or are curious about how and why the internet is the way forward for science communication, I highly recommend reading up on this year's (un)conference, and following the #scio12 hashtag on twitter. Seriously, tons of great stuff.